The Galaxy S9 and S9+ are big phones, and that can mean some full pockets. If you're carrying around your phone and your wallet, chances are your belt is working overtime. So grab one of these wallet cases and feed two birds with one scone. If you're looking for a case that's guaranteed to fit and you only need to carry one or two cards with you, then Samsung's cool LED View Wallet might be up your alley. It comes in black, violet, or blue and you'll get LED notifications right on the cover, so you don't have to open it to check your phone. 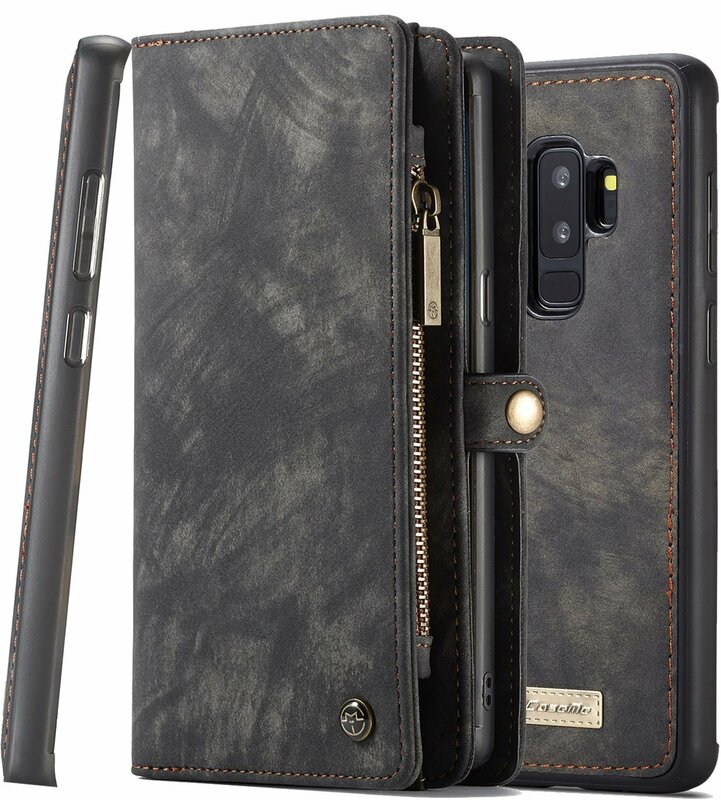 This PU leather wallet case might just be the perfect case for your Galaxy S9 and S9+, period. It's a folio wallet with three card slots and a cash pocket, with a magnetic closure and a cover that folds into a kickstand. But the inner bumper case detaches from its magnetic hold, so it ends up being just a great leather and TPU rubber case for when you don't need your wallet. Comes in three colors. 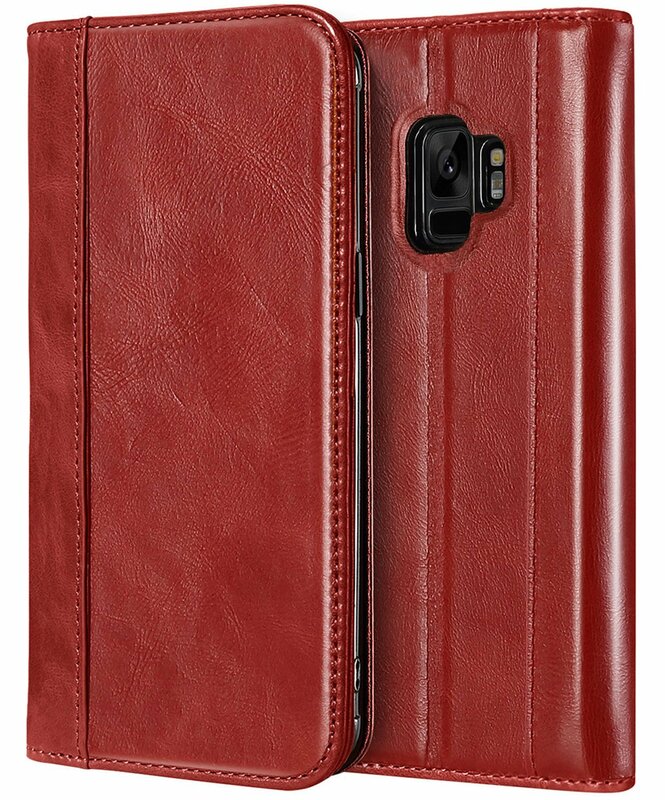 This folio-style case has two card slots on the inside cover, as well as a cash pocket, and instead of a flap, it has a streamlined magnetic closure. 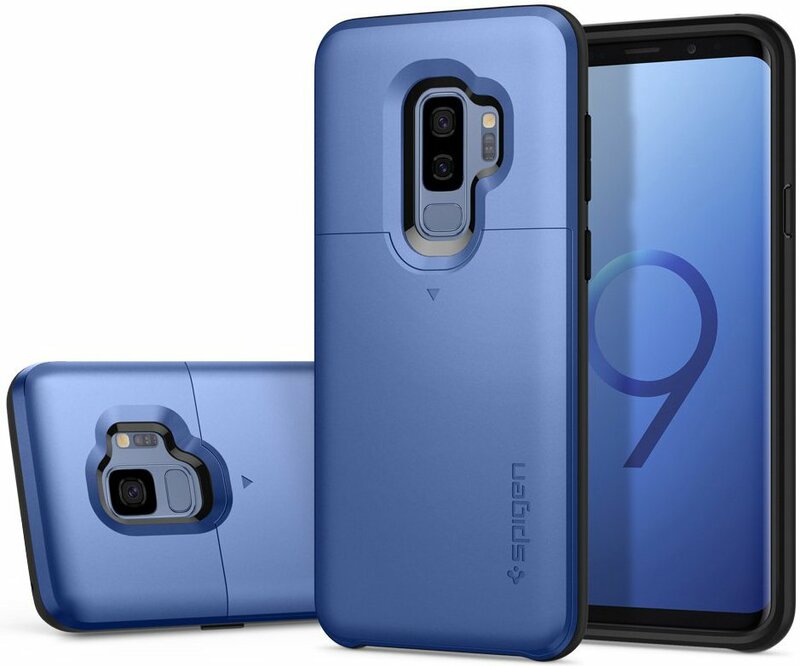 The inner bumper is shock-absorbent and protects your Galaxy S9 or [S9+](https://www.amazon.com/ProCase-Genuine-Kickstand-Magnetic-Protective/dp/B079DNZRBV/?tag=androidcentralb-20&ascsubtag=UUacUdUnU66527's corners, and you can get it in red, brown, or black. 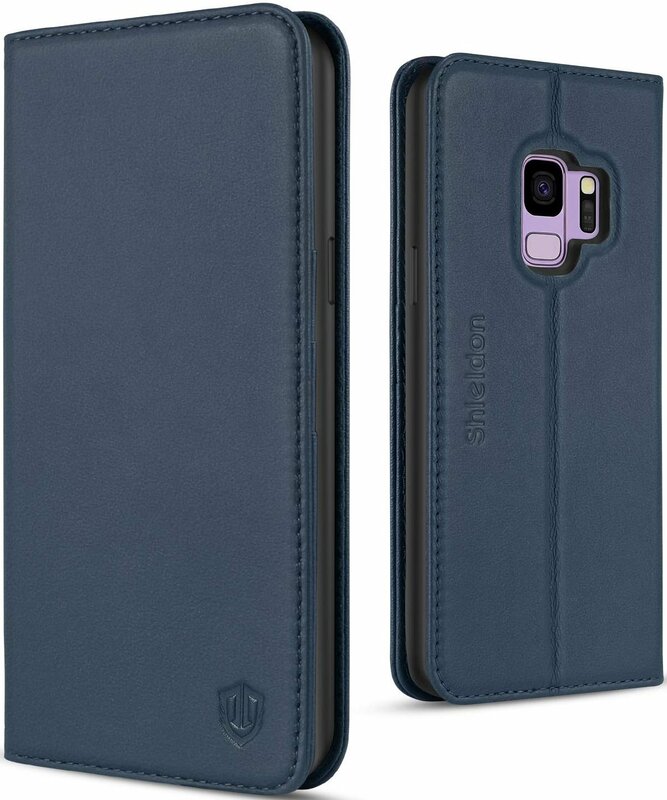 Shieldon's wallet cases for Galaxy S9 and S9+ have a hidden magnetic closure, giving them a sleek look, and they come in black, red, or a very alluring blue. The inner bumper is made of flexible TPU rubber, which protects your phone from drops and bumps. There are three card slots and a cash pocket inside the front cover. This wallet case isn't a traditional folio; instead, it's your typical dual-layer back cover, but it has a sliding door on the back that opens up a slot for credit cards and some cash. You can fit two cards, and the slider snaps shut to hold everything in place. You can grab the Slim Armor CS in five colors, including those that match your S9 or S9+. 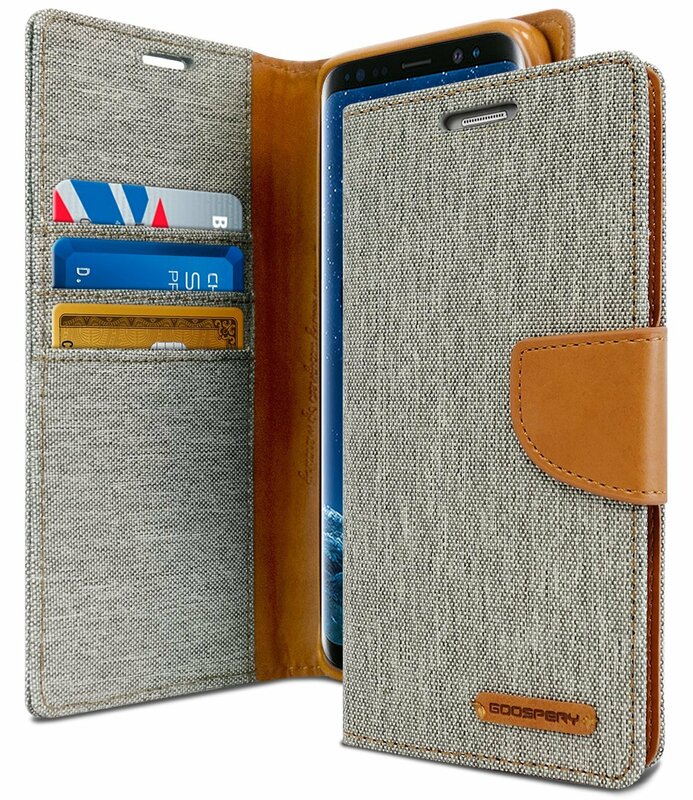 These tweed-style cases for Galaxy S9 and S9+ come in eight great colors, have a leather-accented magnetic closure, three cards slots, a cash pocket, and all the class a phone case can muster. If your case-buying decision is based on style alone, then you want to pick up what Goospery is laying down. This back cover case has a magnetic flap on the back that covers a card slot that can hold up to three cards. 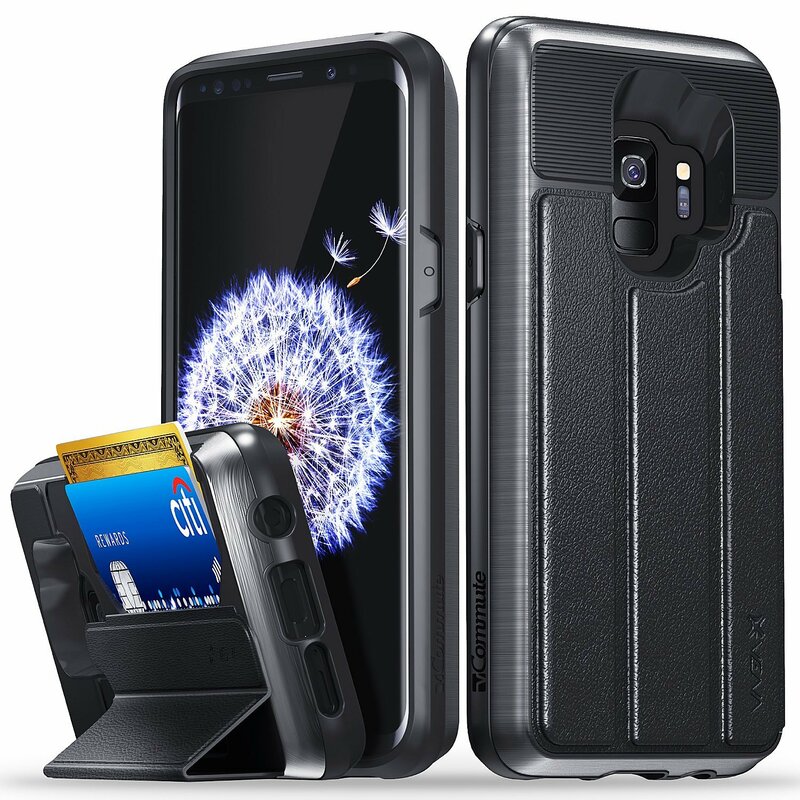 The edge is slanted, so it's easy to remove even one card, and your Galaxy S9 or S9+ is protected by durable TPU rubber and hard polycarbonate plastic. If you need military grade drop protection with your wallet, then this is the case you want. If you need to carry all the things, then you want this wallet case for your Galaxy S9 or S9+. It has a removable magnetic inner case for when you don't need the wallet portion, which is extensive: there are 11 card slots, 3 cash pockets, and a zipper compartment for change, thanks to an inner divider. There are four colors to choose from, as well as another full-zipper style. A wallet case is probably the most convenient way to cut down on your pocket carry, since you likely always have your phone with you anyway. 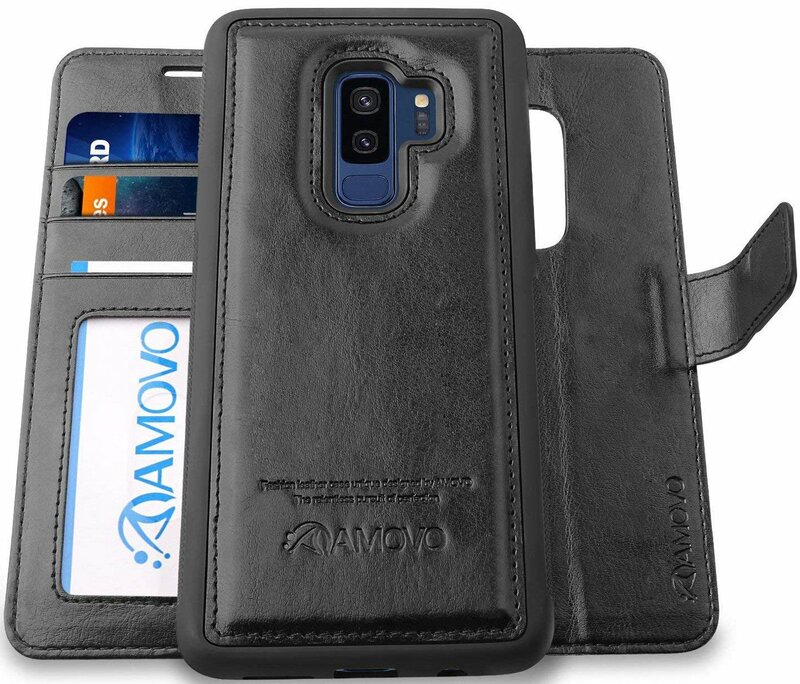 I recommend the Amovo case so that even when you don't want a wallet on you, you still have an excellent, stylish, and protective case on your Galaxy S9 or S9+.